Maple Lawn, MD | April 9, 2018 Offit Kurman is pleased to announce our updated roster of attorneys leading the firm’s Practice Groups. The current list comprises 16 of the firm’s 150-plus lawyers and includes 7 first-time Practice Group Leaders: Alex Allman, James Hoffman, Douglas Kay, Brian Loffredo, Frank Noyes, Linda Ostovitz, and Glenn Solomon. Additionally, two of the firm’s large practice groups have been split into North and South groups, reflecting Offit Kurman’s expanding regional footprint. Speaking on behalf of the firm’s Management Committee, Mr. Raftery said that careful consideration was given to identifying Offit Kurman’s PGLs for 2018. Among legal organizations in the United States Mid-Atlantic region, Offit Kurman stands out for its diversity—both in terms of services offered and in regards to the men and women who preside over the firm’s various practice areas. In addition to their work with clients, Practice Group leaders oversee the activities of their colleagues throughout the firm’s 12 office locations in the New York, Philadelphia, Baltimore, and Washington, DC regions. These 16 individuals collaborate with Regional Managers, as well as members of the Management Committee, to develop legal service offerings and meet the firm’s long-term, strategic objectives. 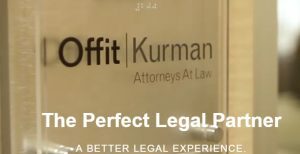 As a whole, Offit Kurman’s PGLs have achieved numerous distinctions and accolades—such as Martindale-Hubbell AV Preeminent ratings and recognition in Super Lawyers—as go-to litigators, mediators, and advisors in their fields. The full list of Practice Group Leaders for 2018 can be found below. An asterisk (*) indicates new members of the roster.